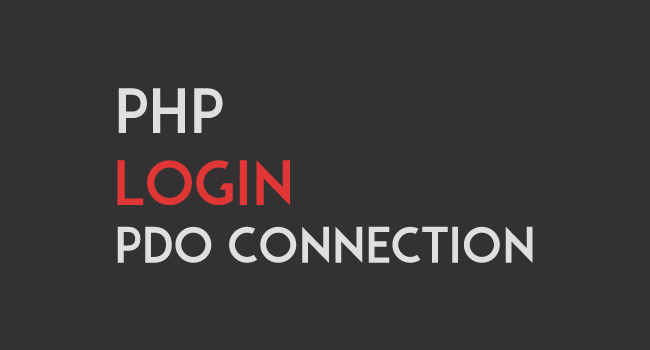 PHP Login System with PDO Connection. 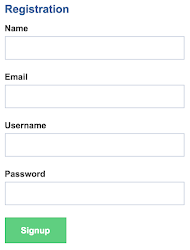 Very long back, we had published a simple PHP login system using PHP, which works only with MySQL database. Today, we are providing you an easy registration and login process using PDO connection with better password encryption, which has an advantage of working on different database systems. PDO is a PHP extension that allow us to implement code which is portable across many databases and platforms. This registration process is used in our Wall Script 8. 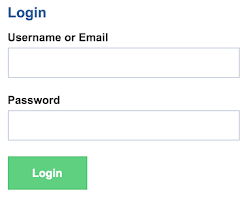 Here is the demo of this cool & simple login / registration process. Contains PHP and HTML code, works base on user form submit. This will validate and store user session value. This code will clear user session values. thanks. i just do not like to use pdo directly, you recomend any ORM Library for small to medium php projects? Thanks for the article bro.. I like to see a real login system this is for simple, no risk login, this is a good information, But for real life good process and/or secure login, with use salt and session regeneration. Unable to login in localhost & in demo too . Yep!This doesn't work at all, It doesn't even add the credentials in the database. Hi... Awesome article for one just learning to use PDO, thanks so much! Curious, when the files are uploaded and one registers/logs in, should the object information (users information) be displayed at the top of the "home.php" page? I was following along with the article, but perhaps I missed something, not sure. Thanks again! Hi, how can I upload profile image and recovery to home.php? Ensure to open the port address of the database hosting server and include the IP Address on the connection class, something like $server = "" // the ip address of the database server. I have a question, how to populate an user's table by using this UserClass.php and this config.php? would you give me an good idea? thanks! hi thanks for code... can u help in ..
why i cant ?fatal error, warning ? ?/ how to solve ,,?? hey men one help me ? i upload doc,ppt, pdf file in MySQL database using php pdo. how to view any file like doc, ppt & pdf in Bootstrap modal dynamically from database. I request put your next tutorial in your blog fastly. If i manually browse home.php i can see i'm logged-in. Why redirection does not work after a successfull login ? Try to enable ob_start() method is config.php. when register it dont say i am registred, it does nothing. If try register again it says already registred so it works. # Set the “ea-php71” package as the default “PHP” programming language.